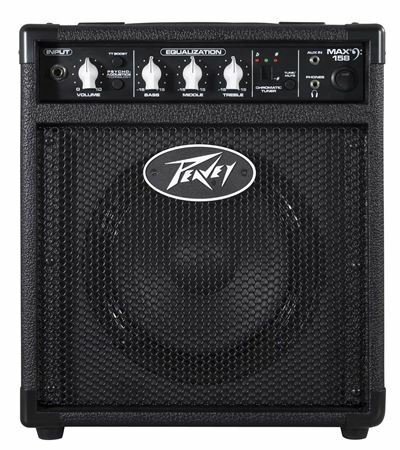 Shop Peavey MAX 158 II Bass Guitar Combo Amplifier from AMS with 0% Interest Payment Plans and Free Shipping. 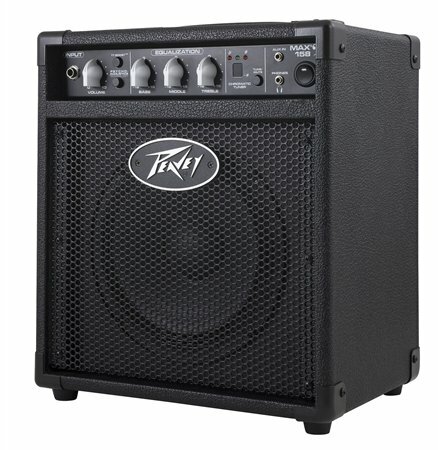 The Peavey MAX 158 II Bass Guitar Combo Amplifier provides 15 watts through an 8 inch speaker, making it a perfect practice amp that is loaded with features! Features include Volume with Transtube distortion boost and psyco-acoustic low end enhancement. The Max 158 II amp also features a 3 band EQ, chromatic tuner and 1/8 inch jacks for phones output and aux input. 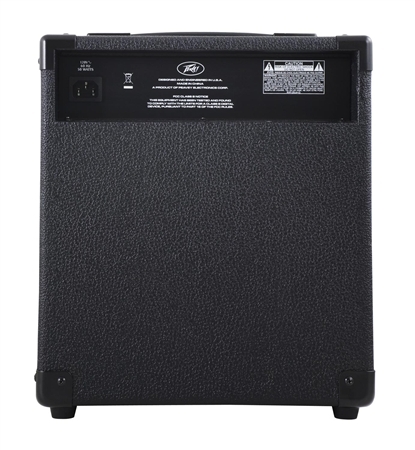 This is a pretty good beginner amp. It has the controls for bass, treble, and mid. They're very responsive as you move them. The button on the front works pretty good - herein lies the problem, in my opinion. As an amp, it sounds good and has good response, but I feel there is no throttle on this. Even cranked to 10, it's barely loud enough to practice on. I could hear myself talk over the bass with everything cranked. It does have good tone, just not enough oomph for practicing. I love this little amp! Its great for solo practices. 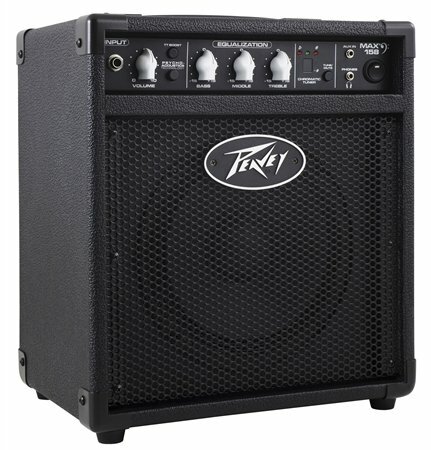 With it's built-in chromatic tuner, head ph & aux jacks, with that deep Peavey sound! Mr Peavey has one bad azz practice amp!